Have you done Etape before? No? You’re in for a shock. (But you’re in the right spot). Yes? Want to do better? (You’re in the right spot). Etape is not something you just turn up to (unless you’ve been training or are naturally elite or can climb mountains); you definitely should do some training. If you’ve struggled to find (or haven’t started looking) a cost-effective training plan that you can be confident works, look no further because you can start training 6 months out to make sure you’re in tip-top shape for Etape. To make sure you don’t just survive, but thrive. The 6 month VeloNomad Etape training plan is made to get you ready to blitz the mountains and be in great shape just in time for Etape. Some common questions are below. If you have another question like “Hey Tim, heading to France, and want to smash my mates, will this suit me? (Or what other training will? )”, then please shoot me an email! If you’re familiar with VeloNomad (and know how rock solid our stuff is), simply sign up below from $1.13 a day. Just keep reading for more information (including what you’ll get, money back guarantee, etc). You can check out a sample of the first week here. When does this open, close and commence? January 5, January 11 and January 13. Can I join after that? You can but you’ll have to drop some weeks. Basic plan: 25 weekly emails with the week’s training. Plus plan: 25 weekly email with the week’s training delivered whatever day you want. Premium: All of the above minor customisation of plan to suit your circumstances. Want to email me? Do it! Need help or uber customisation? No probs! This seems expensive, is it? Nope. If you’re spending hundreds or thousand of dollars travelling to France to an event like this. Additionally, most personalised training will cost in the order of $400-2400 per half year, so this is a steal. A bike, heart rate monitor, cadence sensor and head unit – I recommend (and use) the Garmin Edge 500. Get it from: Wiggle, Chain Reaction Cycles or ProBikeKit. After completing checkout, you’ll be adding to a mailing list. From that point you’ll receive your first week of training. After that you’ll receive an email each week with the next week’s training. If you wish to receive emails according to a specific day or time, make sure you sign up for the Plus or Premium Plan. You’ll be invited to join the VeloNomad Etape 2013 Training Group on Strava so I can track your progress and you can cheer others on (and vice versa!). Sure are – you’ll get 3 ebooks for free. You’ll get these ebooks for free at week 2. Nope, not a jot. Just pay the one time cost and that’s it. Via Paypal – Paypal balance or credit card – no Paypal account is needed. You’re done and you’re racing! If you’re tackling L’Etape (even if it’s not your first time) and haven’t really trained before, or are lacking fitness, or need to shed a few kilos, or need to become accustomed to the mountains, this plan is for you. If you already have a training plan or program or are ultra fit, this isn’t for you. If you’re busy with family, work or other commitments this plan will suit you. Will it fit my schedule? It’s demanding, but not too demanding. As with anything you’ll get out what you put in. 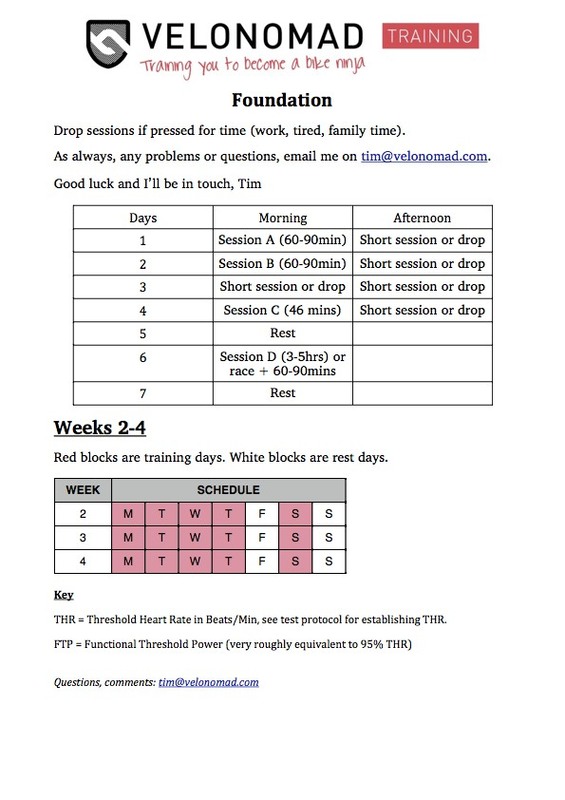 It’s structured so you can drop sessions if you’re too busy. The program is structured to accommodate people who might ride to work, so a session can be fitted into your morning or afternoon commute. If you don’t ride to work you just pick the harder (effort) session from the day and do that. Still not sure this is right for you? PLEASE PLEASE PLEASE do not sign up if you have any doubts that you will not have the time or commitment to do this. How do can I be sure this works? Lots of happy VeloNomad training members will tell you just how effective the VN training plans are. Here are some kind words from monthly member Mick (who trains for fitness and racing). It’s been a great program and I’ve seen incredible results – did some of my least favourite climbs this morning and found them a lot easier than I thought they were (even with a belly full of Xmas ham, turkey and whiskey!) so it’s definitely paying off. What if I am not happy with the progress? I’ll happily give you a pro rata refund at any point. Full refunds are available for the first week only if you’re not totally happy with what you’re getting. As little as 4 weeks. Sign up below. Need more convincing? That’s cool, read on. I’ve written a lot about training for Etape (enter “Etape training” or “training for Etape” in the search box. I’ll wait right here) and done it several times and know what I am talking about. I’ve helped scores of people get in ripping condition for Etape (as well as helping them increase their fitness and lose weight in general!). I’m totally dedicated to – and love! 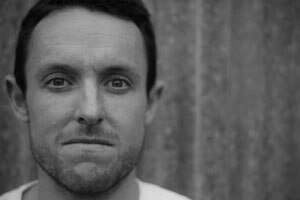 – helping people plan an awesome cycling holiday (wherever that may be) or do something crazy like Etape. And remember, if you’re not happy with the plan, you can ask for a full refund in the first week and get a pro rata refund at any time. REFUND POLICY: I’m so confident you will be completely satisfied with your purchase, that you’ll receive your money back, guaranteed, no questions asked, in the first week. Get ripped for Etape – let’s do it! Interested in other training options? If you need something shorter than 6 months, check out the Training for Etape which is 4 months (16 weeks) long and available for instant download. If you’d like something more adhoc, the VeloNomad Training Program is a month to month training plan costing as little as $1/day. Whilst it’s more race, fitness and weight-loss focussed it nevertheless will help you accomplish a good level of fitness for Etape.